SEATTLE – Nicolas Lodeiro, the attacking midfielder who just helped Argentina powerhouse Boca Juniors reach the semifinals of the prestigious Copa Libertadores club championship in South America, has signed with the Seattle Sounders as a designated player. The 27-year-old Lodeiro also has 48 caps for the Uruguay national team, including this summer’s Copa America Centenario in the United States. Success has been elusive for the Sounders this season, as they lag near the bottom of the standings with a 6-12-2 record. Wednesday’s move was their second major one in 24 hours. On Tuesday, the team announced it had parted ways with coach Sigi Schmid, who had been in charge since Seattle joined MLS in 2009. Longtime assistant Brian Schmetzer was named the interim head coach and was delighted to add Lodeiro to the roster in just his second day on the job. Pending the receipt of his P-1 visa and international transfer clearance, Lodeiro could be available as soon as Sunday when the Sounders host the Los Angeles Galaxy. “The decision of where I play is up to the coach,” he said. “The most important thing to me is to play with great players. Loderio has played in three Copa Americas, including 2011 when Uruguay won it. He has been in two World Cups, helping the country finish fourth in 2010 and reach the round of 16 in 2014. He also was in the 2012 London Olympics. 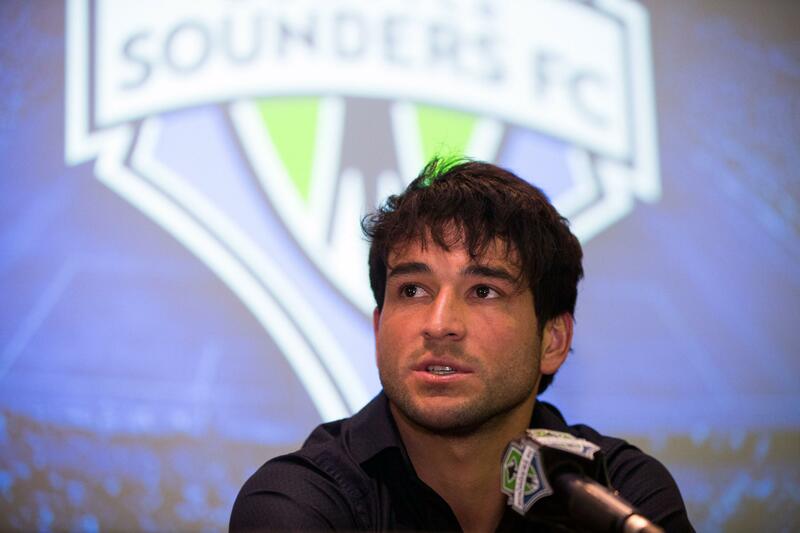 Professionally, Lodeiro played three seasons with Uruguay’s Nacional, three seasons with Dutch side Ajax, two with Brazil’s Botafogo, and one with Corinthians of Brazil. He joined Boca Juniors in 2015, scoring three goals. With Dempsey, rookie Jordan Morris, and veteran Nelson Valdez up front, Sounders officials said adding an attacking midfielder was a priority. “Nicolas is going to be a tremendous presence for us going forward,” general manager and president of soccer Garth Lagerway said. “Even five years ago, the thought that the playmaking midfielder for Boca Juniors, one of the biggest clubs in all of the Americas, would come and play in MLS in the prime of his career at age 27 was unbelievable. Nicolas Lodeiro, the attacking midfielder who just helped Argentina powerhouse Boca Juniors reach the semifinals of the prestigious Copa Libertadores club championship in South America, has signed with the Seattle Sounders as a designated player. Published: July 27, 2016, 2:54 p.m.